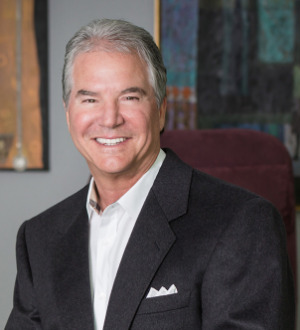 Frank N. Darras is the founder and managing partner of DarrasLaw, in Ontario, California. He is recognized by peers as one of the nation's top insurance lawyers, handling bad faith insurance cases and disability cases. For more than 30 years, he has devoted his legal practice to helping the sick, disabled, and elderly recover their unreasonably delayed and wrongfully denied disability insurance benefits. He has seen, evaluated, litigated, and resolved more disability and long-term care cases than any firm in the United States. Darras’ tireless work advocating for the disabled has led to stellar results for his clients and earned him the respect of the insurance industry. DarrasLaw has recovered nearly $1 billion in wrongfully denied insurance benefits, placing the firm in a disability league of its own. Darras has earned annual inclusion in The Best Lawyers in America, SuperLawyers and Lawdragon’s 500 Leading Lawyers in America, as well as an AV-Preeminent Rating from Martindale-Hubbell. Darras’ experience, results and accolades confirm his reputation as America’s top disability insurance lawyer. Contact DarrasLaw today for a free consultation on any disability insurance matter.